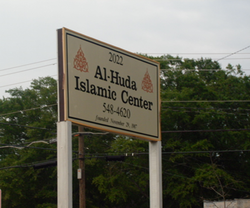 The Al-Huda Islamic Center was established in 1987. It started off as a student proposed and funded project and blossomed into the large active community it is today. Jummah Prayer is held every Friday at the Al-Huda Islamic Center of Athens at 1:30pm. The mosque is located on 2022 South Milledge Avenue. ​Athens Transit Buses #14 and #9 go to the mosque, and are free with a UGA ID. To contact the mosque, call 706-548-4620.